Perfect for the family that loves to travel and explore! 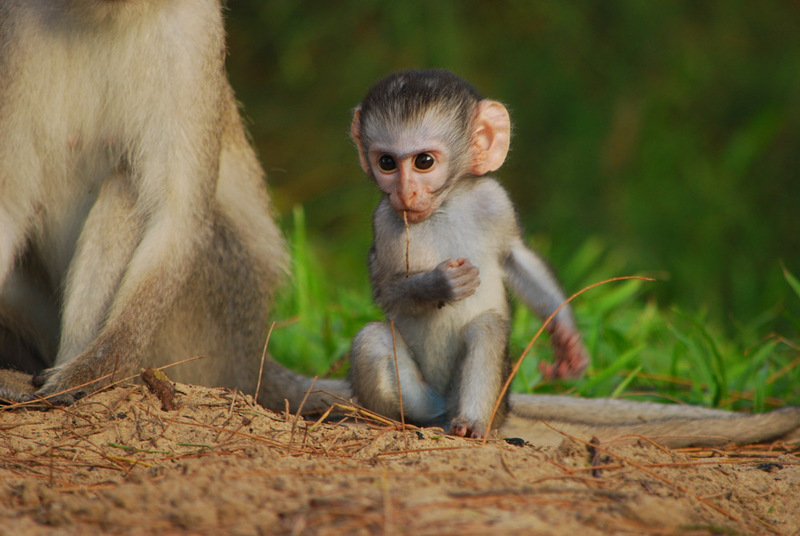 During this self-drive journey you will enjoy safaris and beaches of the Elephant Coast, a bicycle ride through the streets of Soweto, explore the Drakensberg mountain range, swim with wild dolphins in Mozambique and discover Swaziland before flying back home! 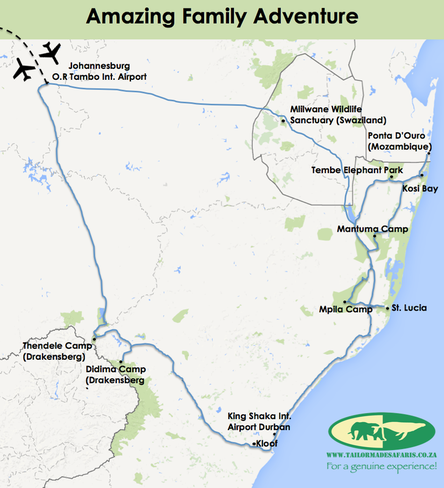 At just over 3 weeks, this tour is tailored to meet the needs and interests of an adventurous family. 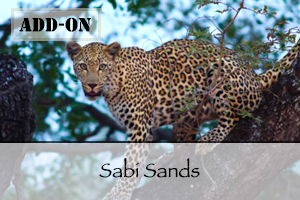 The tour includes some of the best safari and beach locations in Southern Africa, with a sprinkle of cultural experiences! 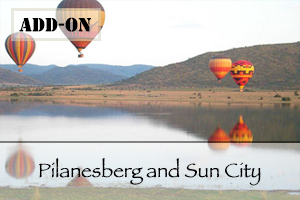 Your trip begins in the majestic Drakensberg Mountains, followed by Big 5 game parks, giant elephants and swimming with dolphins. 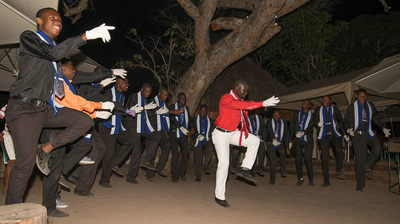 To top it off, the trip concludes with a visit to the Kingdom of Swaziland! 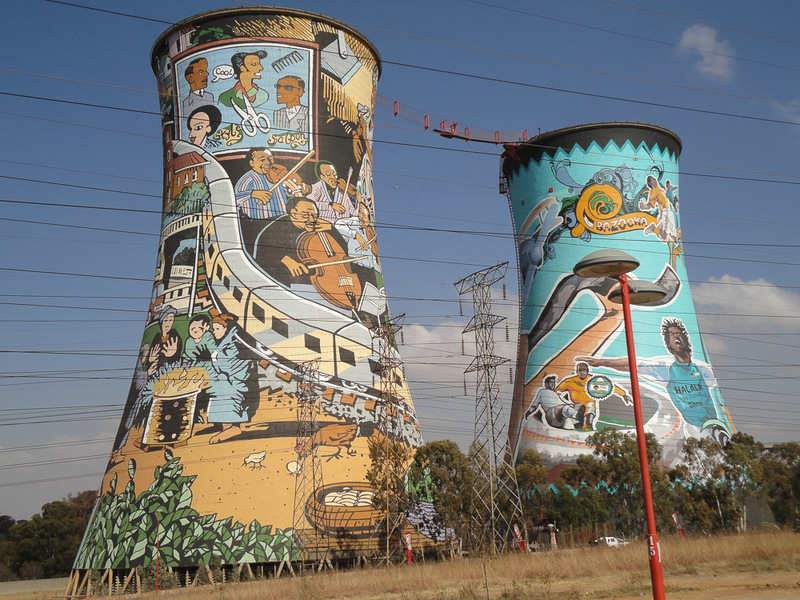 Go on a bicycle ride in Soweto Township, visit the house of Nelson Mandela and get to meet locals in a ‘Shebeen’. Take photos during sunrise of the magnificent Amphitheater, one of the world's most impressive cliff faces! 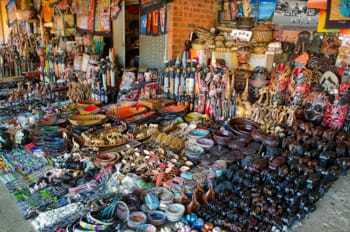 Go on a tour to a cultural village to learn about the Swazi culture. Upon your arrival at OR Tambo International Airport in Johannesburg a representative of your guesthouse will welcome you. He will take you to your guesthouse, where you can relax after your flight for the evening. 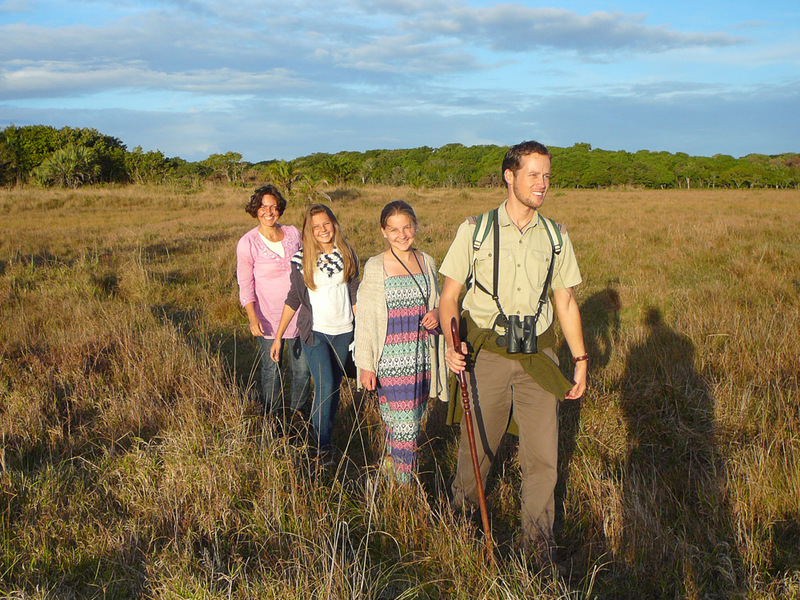 Especially for a family this tour shows an important piece of South African culture. Done in the right way this tour is not only hugely interesting, inspiring, and educational but also FUN! 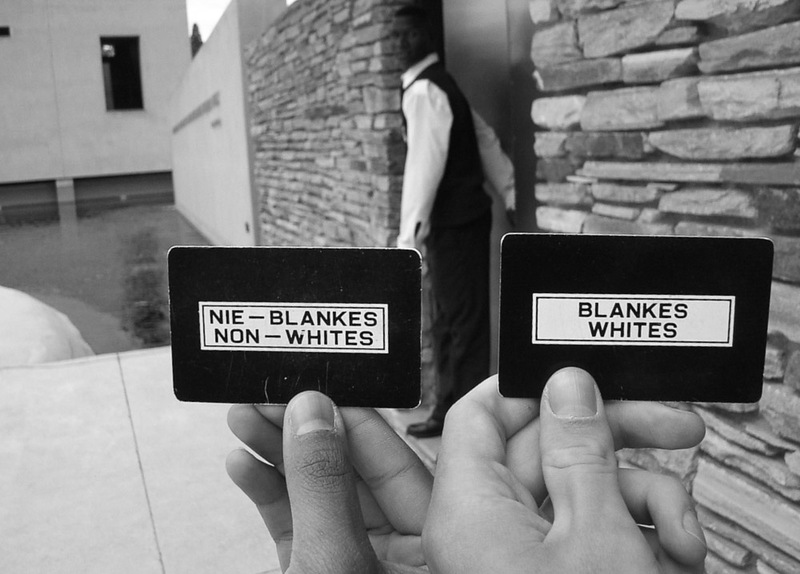 Hence first of all you will visit the impressive Apartheid Museum for the ‘background information’, and then you will go on an informative bicycle ride through the Soweto Township, to see with your own eyes some of the things that you have learned about in the museum! 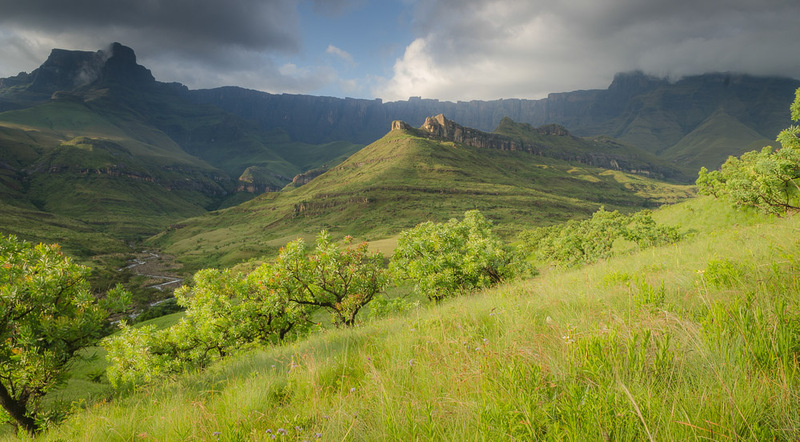 Today you start your journey to the Royal Natal National Park, in the picturesque Drakensberg Mountains. 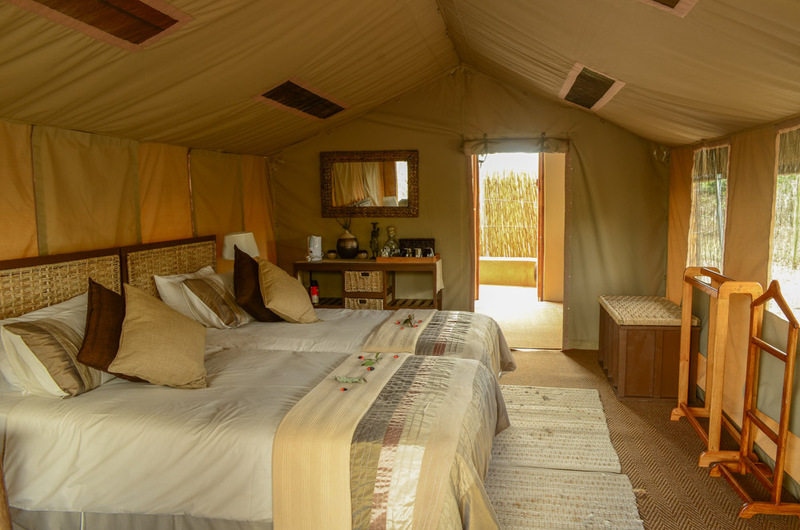 You will stay two nights in Thendele camp, which has a beautiful view of the mountains. After the long drive, you may want to stretch your legs and go for a short walk or you can just choose to explore the camp. 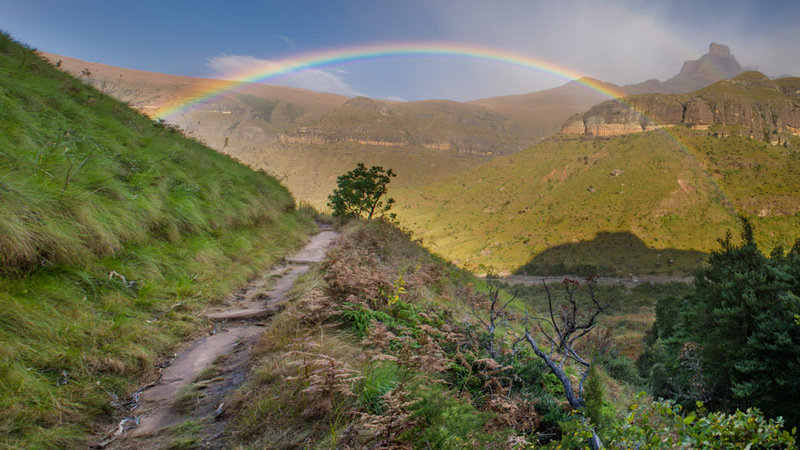 The Royal Natal National Park is characterized by its Amphitheater, an impressive cliff 5 km long and nearly 1000m high. 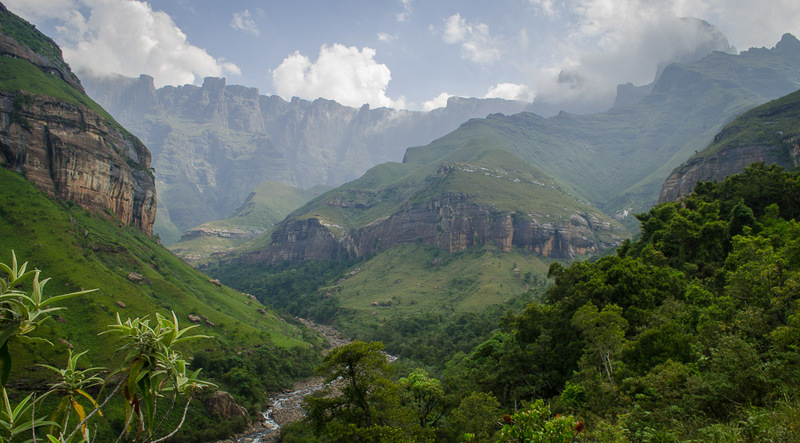 The Tugela River falls down through the amphitheater, forming one of the highest waterfalls in the world, and flows on all the way to the Indian Ocean. Time to put on your walking shoes! 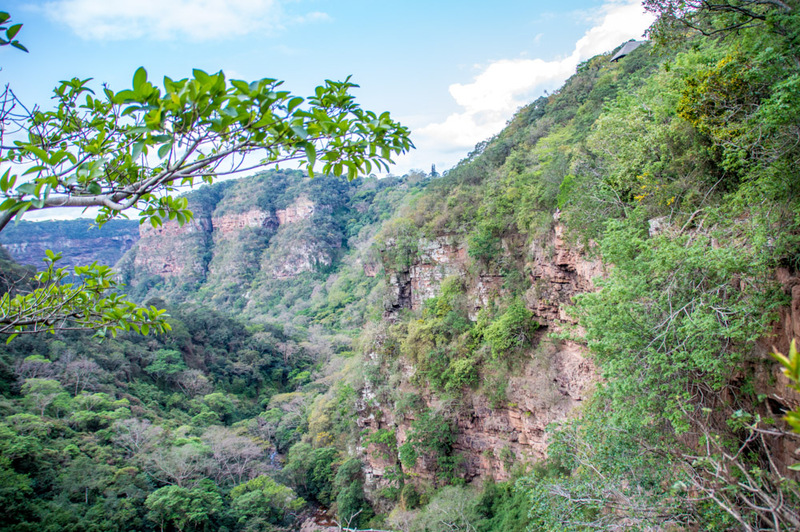 You can walk towards the base of the Amphitheatre Wall where the Tugela River has carved a tunnel into the sandstone, or you can choose one of the many walks Royal Natal National Park has to offer. Those who would prefer not to walk can take part in other activities such as horse riding or a helicopter flight. Before you check out this morning you may wish to complete one of the shorter hikes in the area, like the short walk to the Cascades Waterfalls, or try to get a sunrise shot of the Amphitheatre. After breakfast its time to travel the short distance to Didima Camp. The theme of this resort is inspired by the nearby rock art caves of the San people (Bushmen) and the accommodation of this resort also represents the housing of the San who once lived in these mountains. 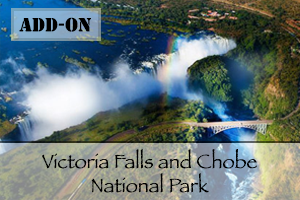 It is situated in a stunning mountain paradise and bathed in the scenic beauty of rivers, streams, waterfalls, meadows and jagged cliffs. Striking reproductions of the rock art of the San people can be seen in the San Rock Art Center. In the afternoon you can visit this center, take a short walk in the mountains or rest, enjoying the magnificent view. 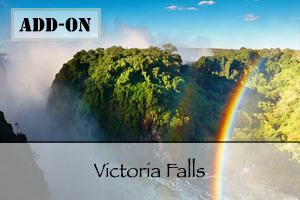 Today you can go to either the beautiful Rainbow Gorge or the Fern Valley, depending on how fit you feel. 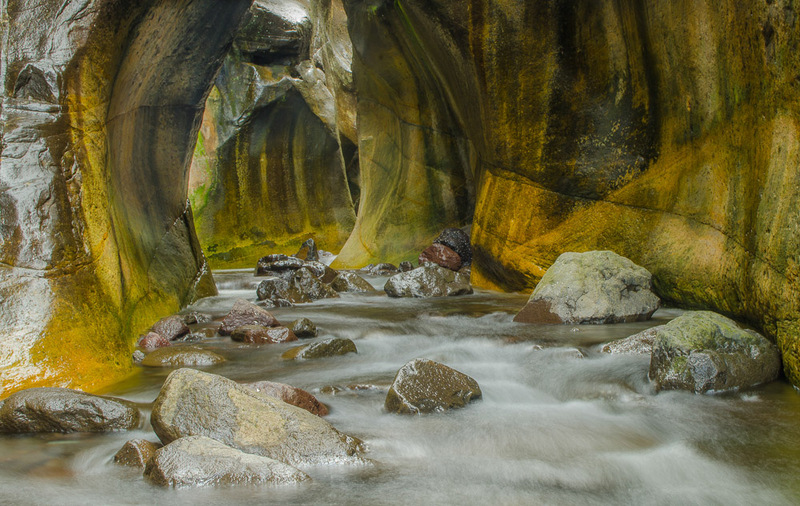 Rainbow Gorge is a lovely walk through woods to a gorge carved by a river. The Fern Valley is filled with tree ferns, which are also lovely to photograph. 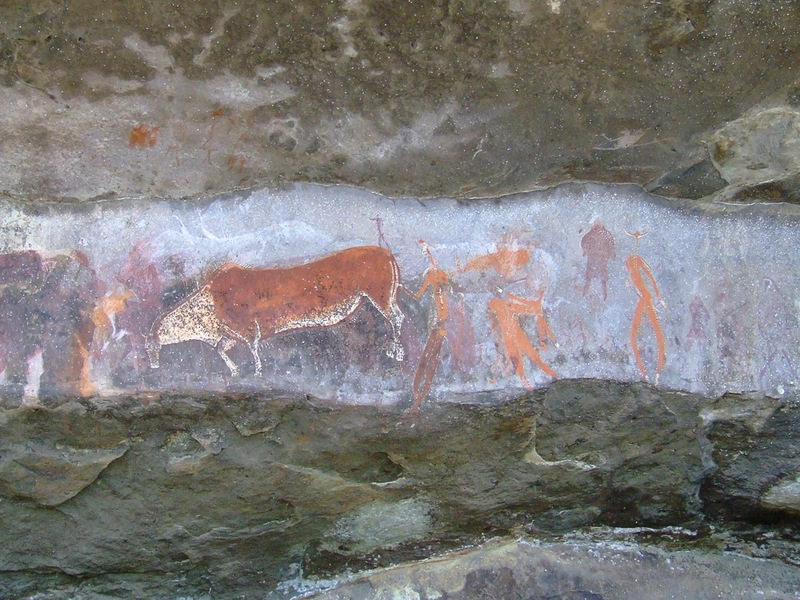 For those not keen to walk the San Rock Art Museum is definitely worth a visit. This is a celebration of one of the earliest cultures of South Africa and, unfortunately, a culture that no longer exists. After an introduction to the fascinating culture and lifestyle of the San, you can enjoy a small, cave-like room of traditional folk tales of the San, as they were told around the campfire. Then you can attend an inspiring video presentation. After a short walk, and a last opportunity to photograph this beautiful mountain scenery you will travel to Eagles View B & B. This Bed & Breakfast is located in the small leafy suburb of Kloof, on the outskirts of Durban. 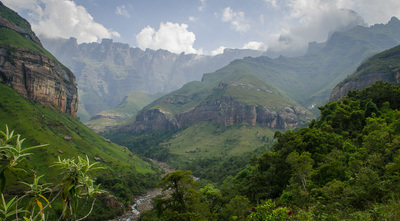 This is a rest stop on the way to St Lucia as the drive is long from the Drakensberg to St. Lucia. 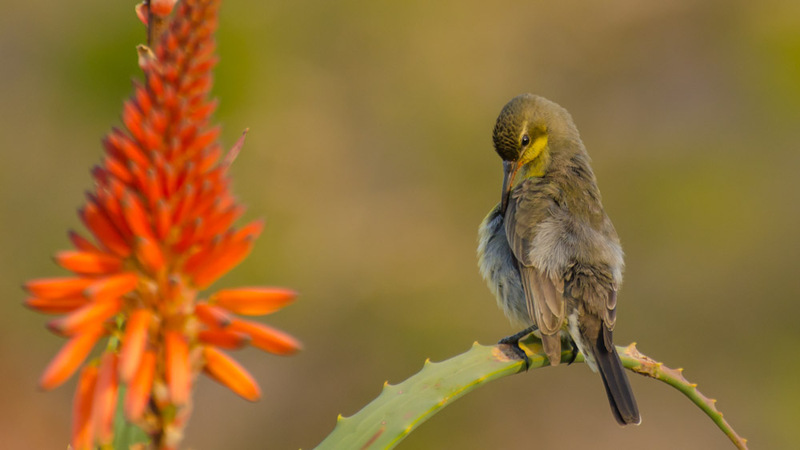 At Eagles View you can enjoy a great view, especially for the suburbs as the B & B overlooks the Krantzkloof Nature Reserve. With the rich bird life you completely forget that you are even near a city. From Eagles your journey takes you to St. Lucia. Once in St Lucia you will be welcomed at your B & B and have time to relax and explore this special small town. 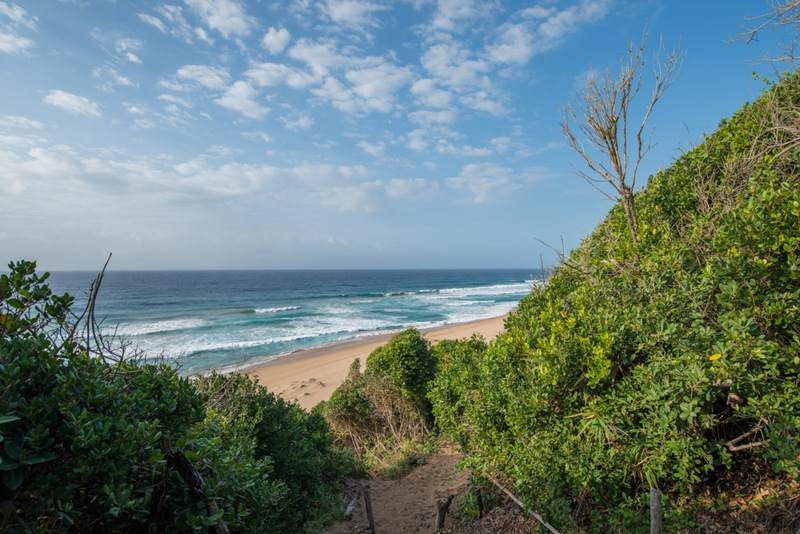 Bordering the iSimangaliso Wetland Park, South Africa’s first World Heritage Site, this little coastal town is unique in many ways. 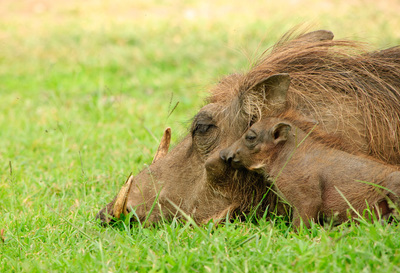 After all, you won’t find hippos grazing the grass verges in many other towns in South Africa! 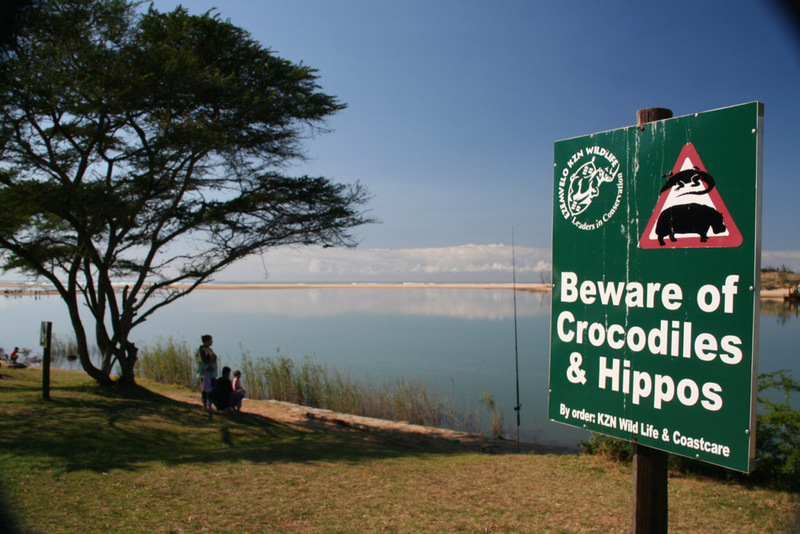 The St Lucia Estuary, which separates the town from the ‘mainland’, is home to hippos, crocodiles and a huge variety of water birds. 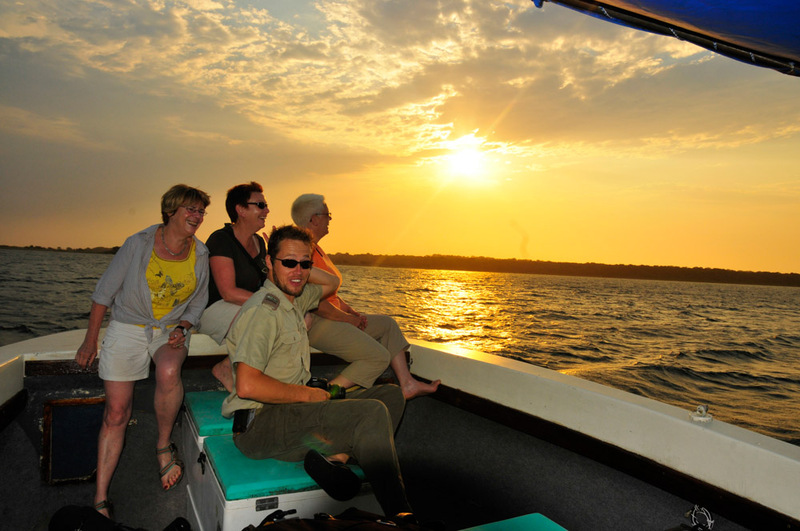 This afternoon you will get to enjoy the estuary from the water during a boat tour. 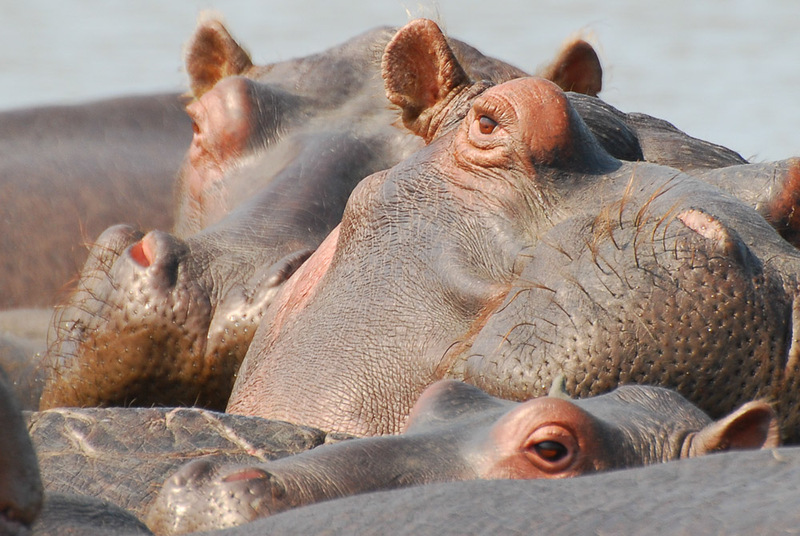 The boat tour will give you up close encounters with hippos, possibly crocodiles, and you’ll also get to see the wonderful variety of water birds resident on St Lucia Estuary. 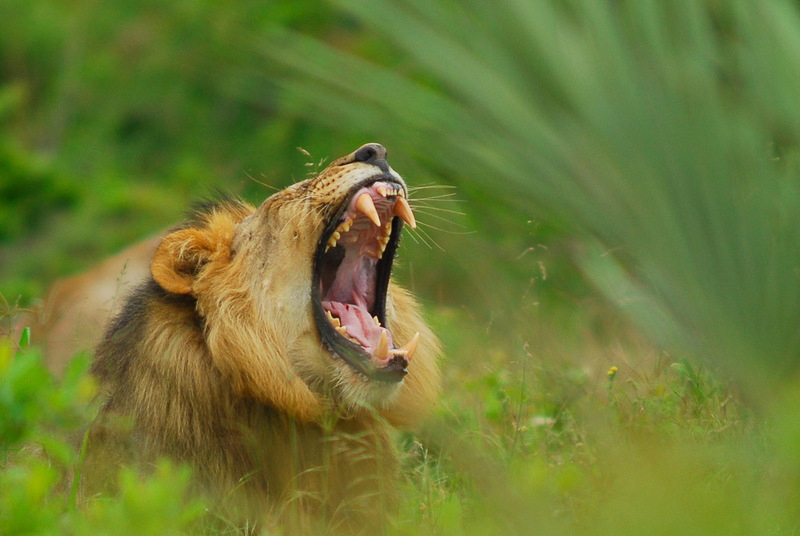 Today you will be collected and taken on a game drive through the Eastern Shores Game Reserve en route to the beach at Cape Vidal for some snorkelling and lunch. The iSimangaliso Wetland Park is known as the ‘premier bush and beach destination’ and has completely different ecosystems than Hluhluwe-iMfolozi Park and Tembe Elephant Park. 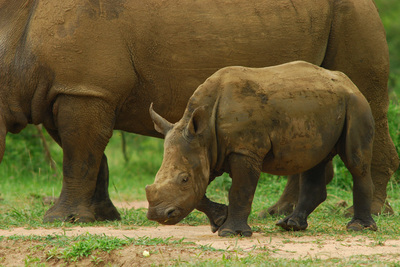 After the drive through the wetland park, where you should see rhino, kudu and other, smaller species of animals, you can enjoy a few hours on the beach, swimming or snorkelling at low tide. Lunch is served at the beach and the day will draw to a close with a game drive through the wetland park as you return to St Lucia. After an action packed few days, enjoy some downtime in St Lucia. 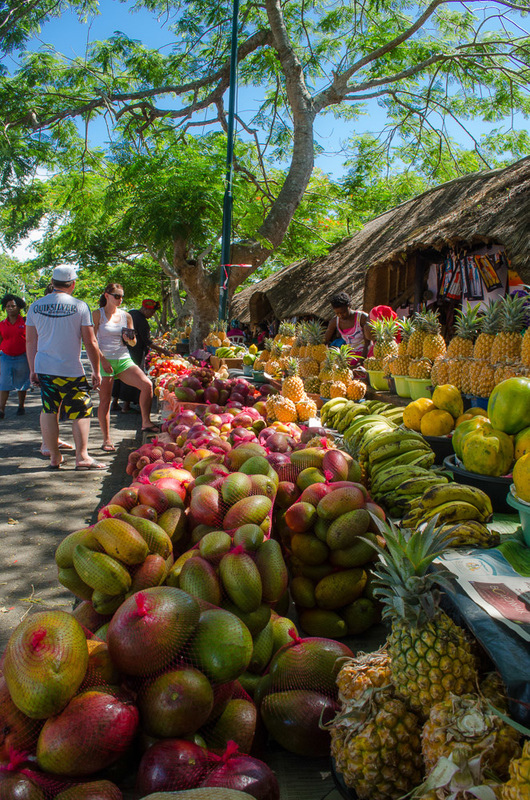 St Lucia town is small enough to explore on foot; here you can browse the souvenir shops, enjoy a longer walk to the beach, book a massage or relax at your B&B. From early June till the end of November you can also join a whale watching boat tour, or maybe you would like to book a horse ride on the beach or in the bush. Today is a day of never to be forgotten close encounters! Your day includes a close encounter with cheetahs, and then wild, but habituated, elephants at a neighbouring Big 5 Game Reserve. These elephants were rescued as calves, after their families were culled, and have subsequently been hand-reared and are thus wild but accustomed to people. 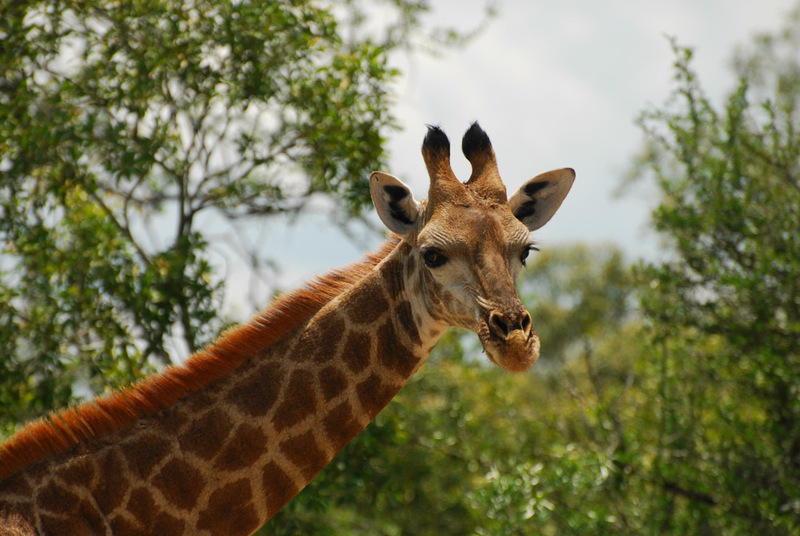 To see these animals up close is the perfect opportunity to learn more about this majestic species. After lunch, you drive to Umkhumbi Lodge. 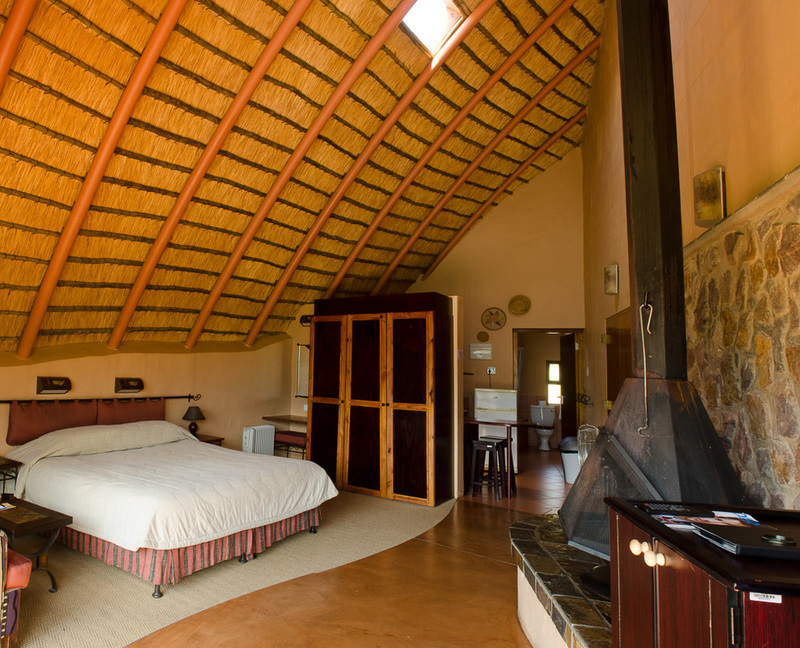 This lodge is situated about 10 minutes outside the town of Hluhluwe. The lodge has been built in the pristine African sand forest, spectacular sunsets can be enjoyed from the wooden deck at the treetop bar. Once you have arrived you can choose to relax at the swimming pool, or take a walk, there are several walking trails on the property. 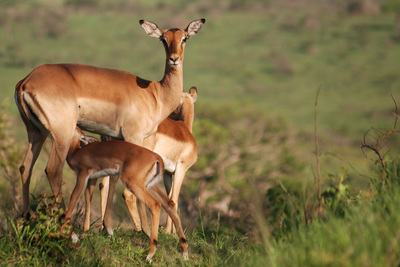 A short drive from Umkumbi Lodge is Hluhluwe-iMfolozi Park. 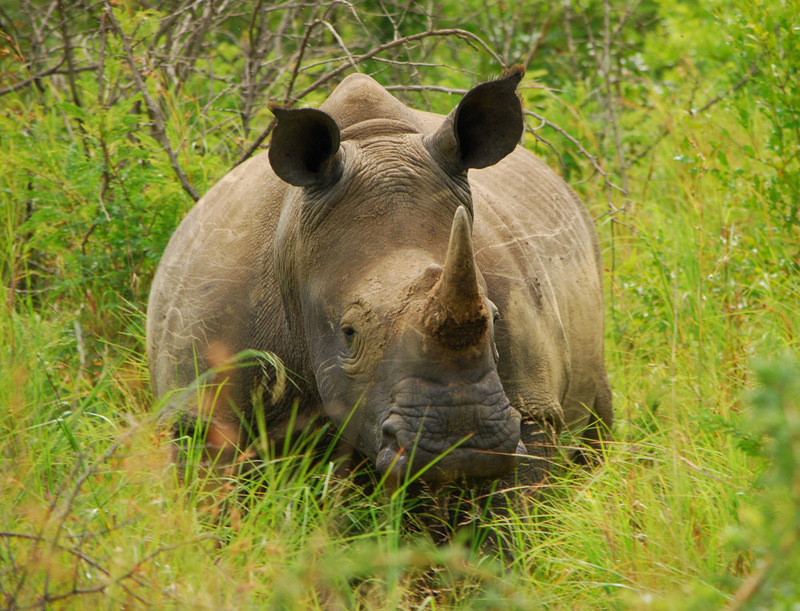 This Big 5 game reserve is internationally renowned for its rhino conservation efforts and large rhino population. 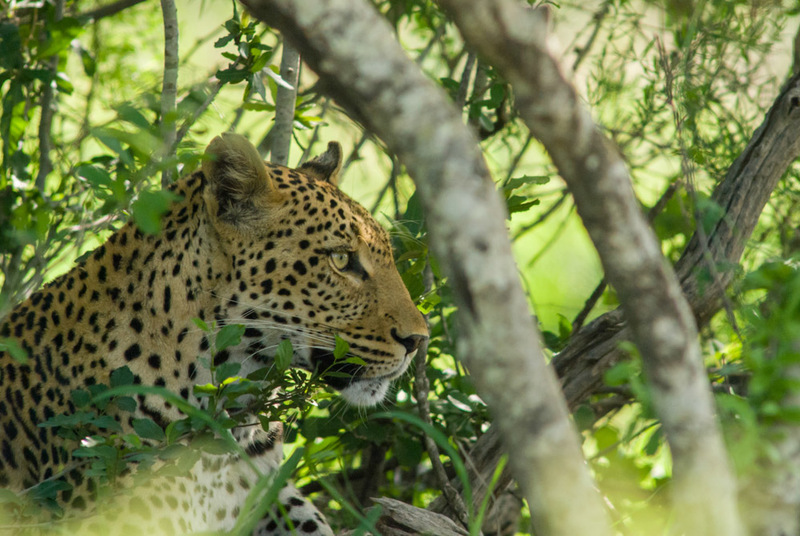 With its stunning savannah landscapes and rolling hills, Hluhluwe-iMfolozi provides not only excellent game viewing but also wonderful photographic opportunities. This afternoon you will enjoy a game drive through this wonderful terrain, keeping an eye out for members of the Big 5. 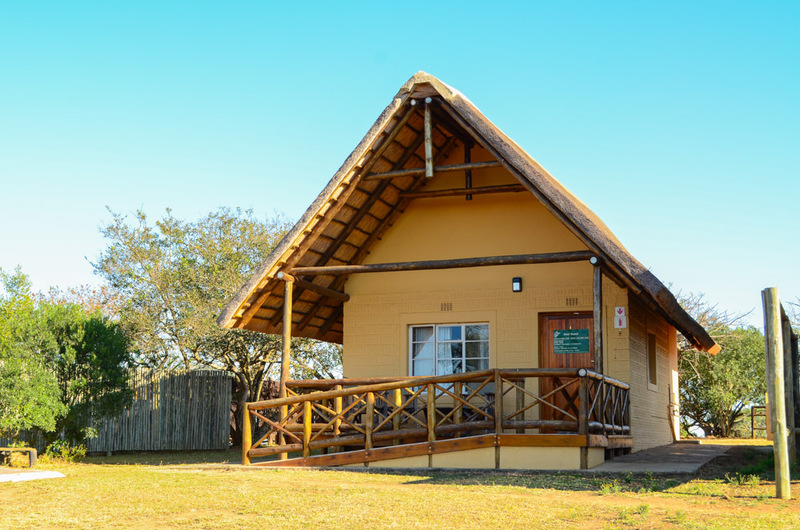 Tonight you’ll stay in comfortable chalets in an unfenced camp inside the park. 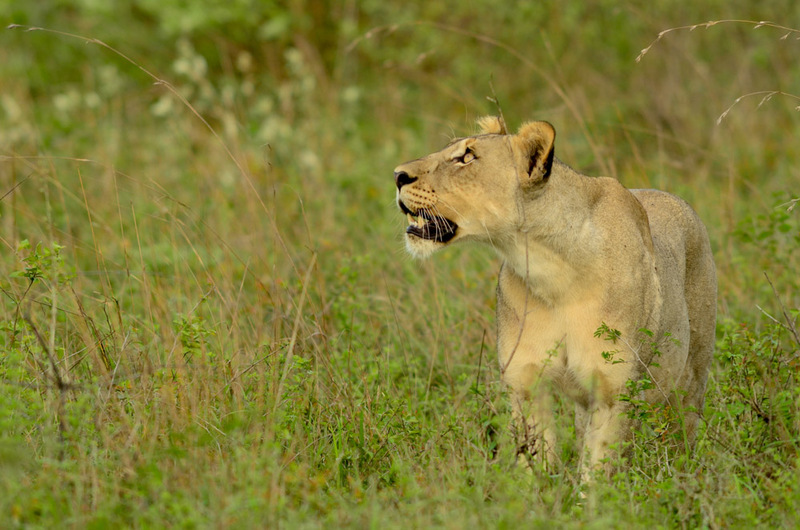 The early morning and late afternoon are the best times to look for members of the Big 5, cats an wild dogs, most of the animals are active then. There are several picnic areas and viewpoints in the reserve where you can stretch your legs, have a drink or take pictures. After the drive you return to the camp, relax for several hours and go for another drive in the late afternoon. In the evening you can enjoy a braai while you are listening to all the animal noises around you. This morning you leave the Hluhluwe - iMfolozi Park and travel north to Kosi Bay, where you will stay at the superbly located Kosi Bay Lodge. 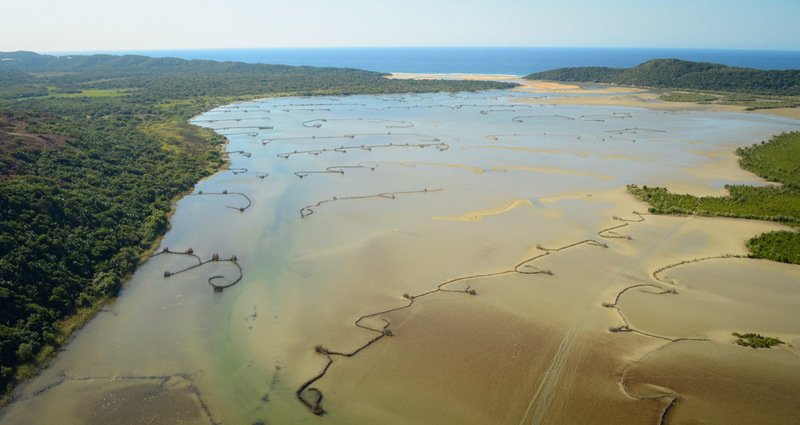 Kosi Bay is the most northern extent of the iSimangaliso Wetland Park, and a beautiful lagoon where you can visit traditional fish traps. These fish traps have been used for centuries and the fish kraals are spread over two of the four lakes in the azure water. The best way to get a good idea of the 700 year old fishing methods of the local people is on a boat trip during which a guide will inform you of all sorts of interesting facts. This afternoon will indeed be spent on a boat cruise, where you’ll see hippo, lots of birds and beautiful scenery. During summer (Nov-Feb) you may be able to go on a turtle walk along the beach and, with some luck, see either the loggerhead or leatherback turtles laying eggs in the sand, or see the hatchlings making their way towards the ocean. Kosi Bay has a healthy estuarine system, consisting of four natural lakes connected by channels. Kosi Bay Mouth, where the first lake connects to the ocean, is one of the best places to snorkel in South Africa, with over 200 species of tropical fish having been identified here; anything from devil fire fish to different species of moray eels and Picasso triggerfish. Join a snorkelling excursion to Kosi Bay Mouth and overlook the estuarine system and the traditional fish traps from the elevation of a dune, or you can enjoy a short walk to get a closer look at the mangrove trees and associated fauna. After the excursion you will travel the short distance (15km) to the Mozambique border and travel from there to Ponta d’ Ouro. 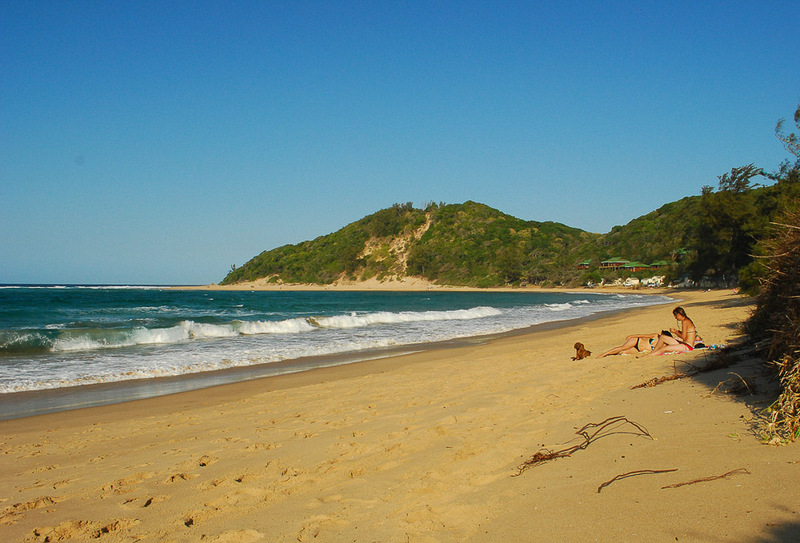 Located in southern Mozambique, 10km from the South African border, lies the small coastal town of Ponta d' Ouro. 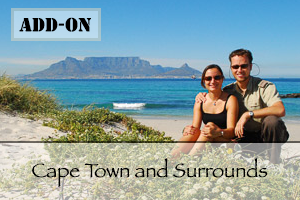 Here you are assured of beautiful beaches, dense dune forests and a phenomenal endless blue Indian Ocean. This morning you get up early and go on a boat trip to look for dolphins. 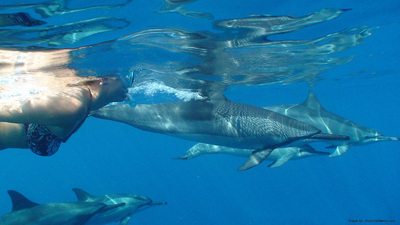 This is a 2.5 hour tour during which you have an 80% chance of swimming or snorkelling with wild dolphins in an ethical and humane manner. The dolphins in this area have, over the years, become accustomed to people in the water and regularly spend time investigating these strange creatures. 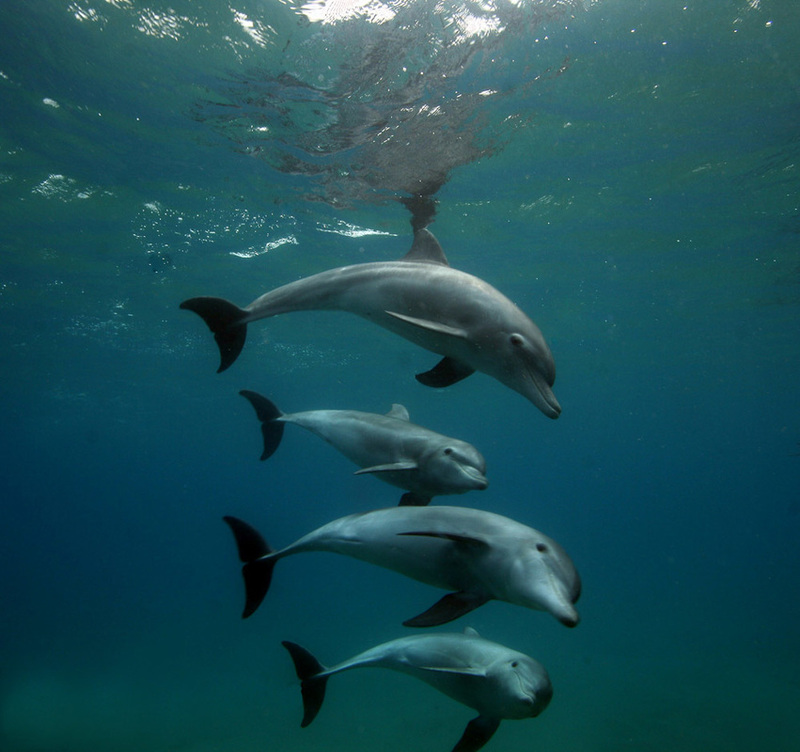 Dolphins swim in circles around you, swim under you and you may see them playing together. 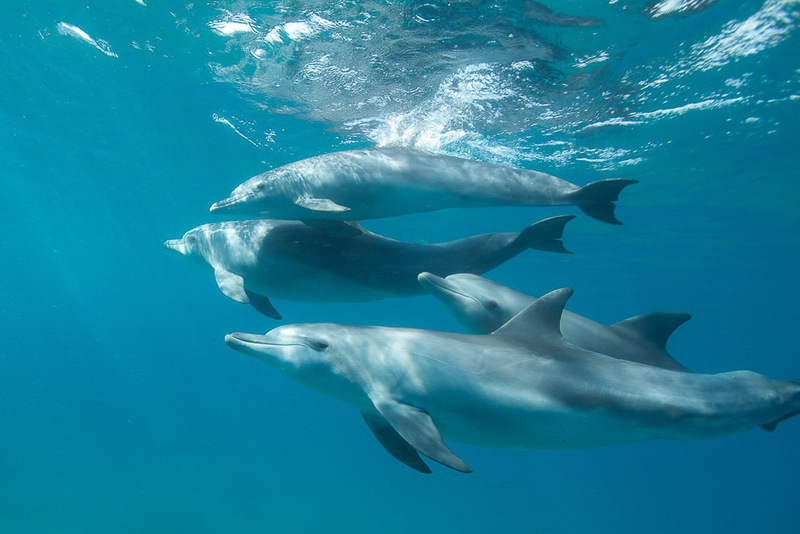 Remember that dolphins are wild animals and they choose whether or not they want to play with you, not the other way around. Furthermore, you have a good chance of encountering whale sharks, turtles and manta rays. 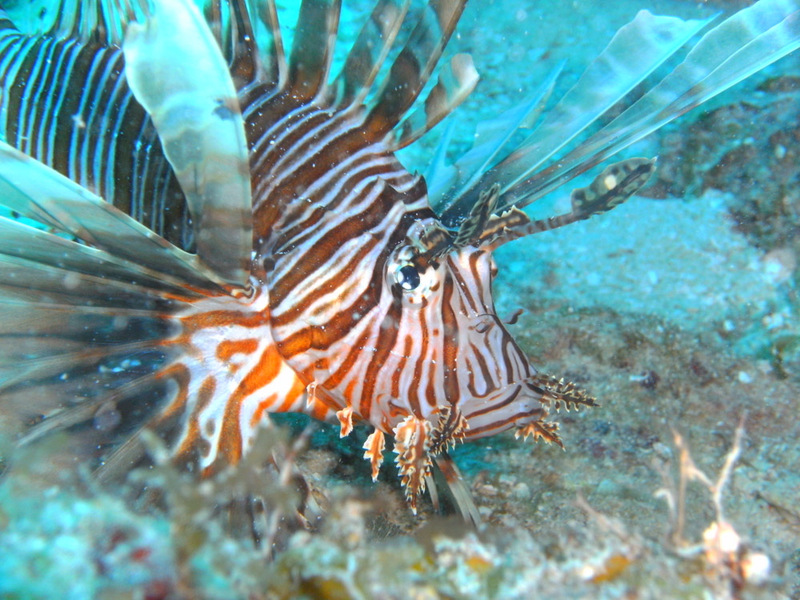 If you do see these animals, you may also be able to snorkel with them. 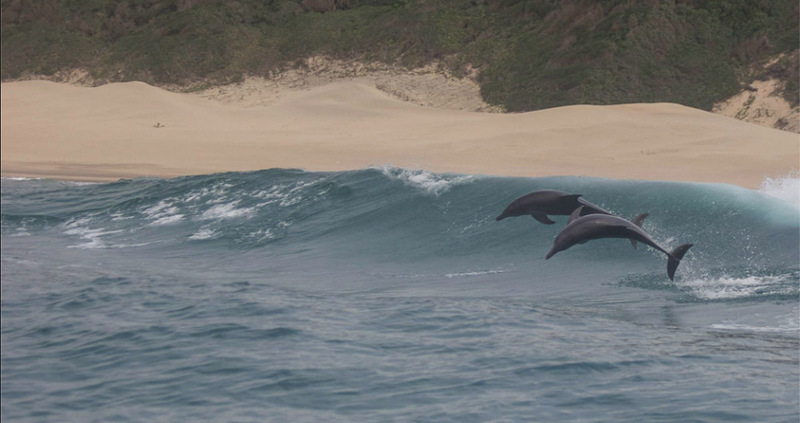 This morning you can either swim again with the dolphins or just relax on the beach. Making the most of the day as it is your last day in Mozambique. 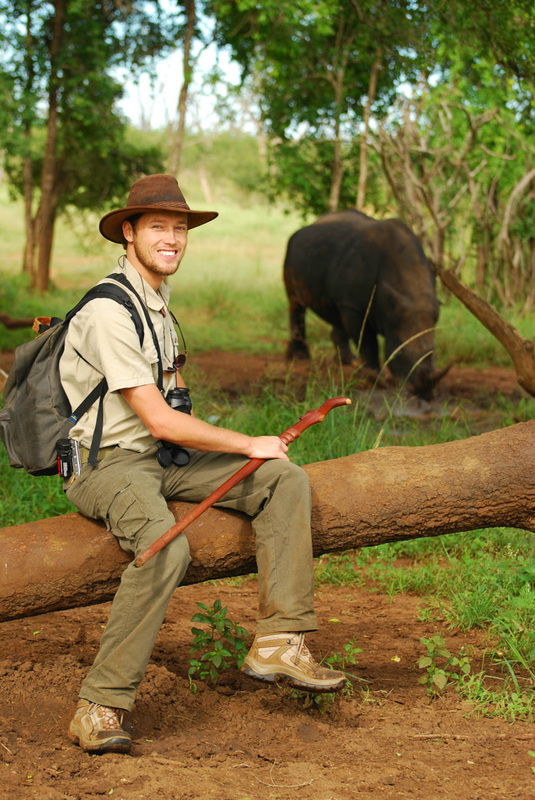 After this you will return to South Africa to continue your exciting adventure and exploration of more wildlife parks. This morning you cross the border back into South Africa and travel the short distance to Tembe Elephant Park. 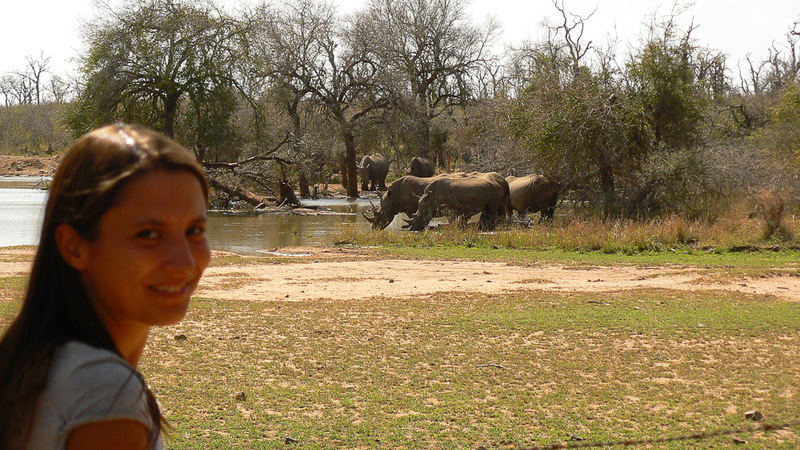 Tembe is an amazing place; an elephant sanctuary and a Big 5 game reserve including the beautiful African wild dog. 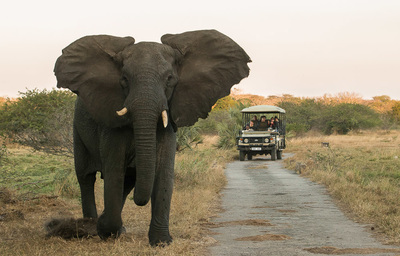 Accessible only with 4x4 vehicles and, with no more than ten vehicles per day allowed entry into the reserve, you will experience a complete wilderness feeling. 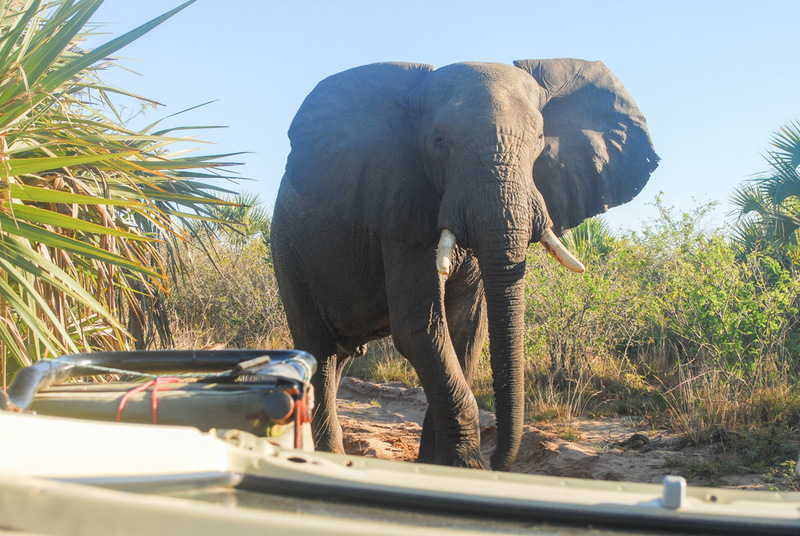 During your stay at Tembe your game drives take place in a 4x4 open game viewer. 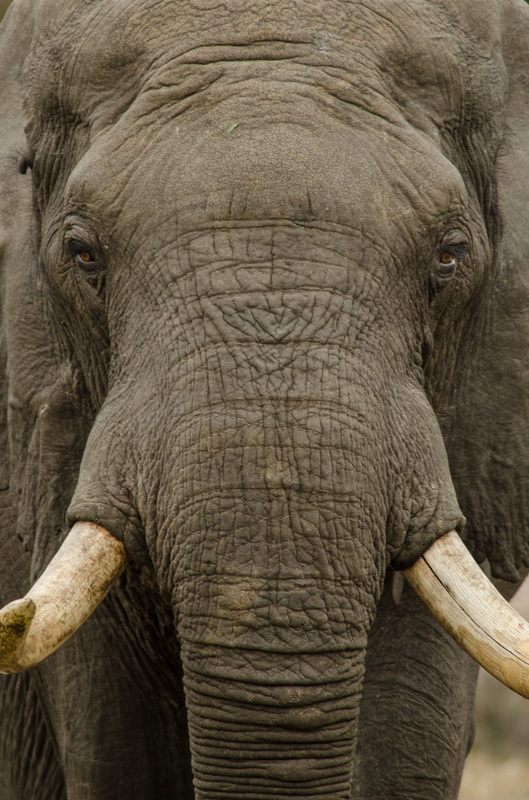 In addition, Tembe is the only place in South Africa where the indigenous elephants of Maputaland are found. 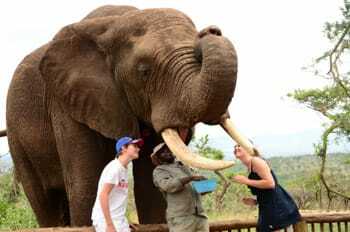 These Maputaland Great Tuskers are quite a bit bigger than the ‘ordinary’ African Elephant found elsewhere in the country. 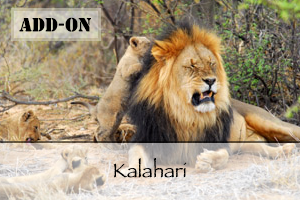 This afternoon you will experience a game drive in an open game viewer. After a morning game drive and a scrumptious breakfast, it's again time to leave South Africa and this time cross the border to Swaziland and head for Mlilwane Wildlife Sanctuary. 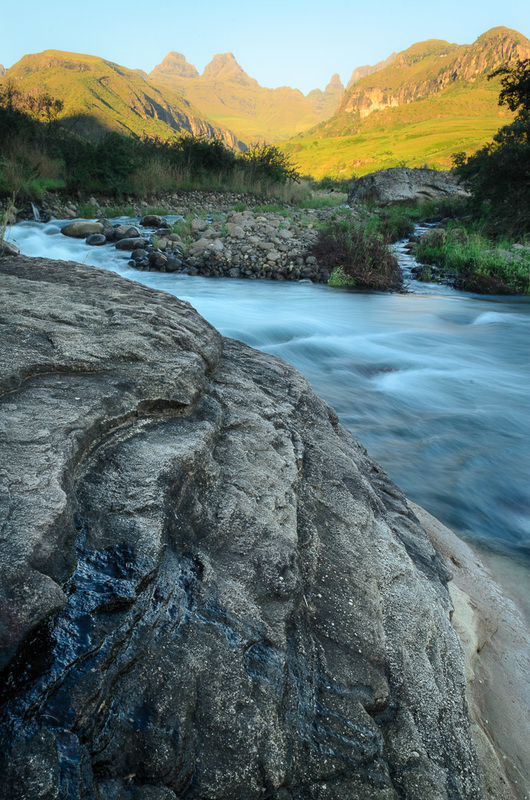 This is a lovely secluded sanctuary in the Ezulwini Valley (Heavenly Valley) in the Kingdom of Swaziland. Spend the afternoon relaxing after the long drive or explore the camps. 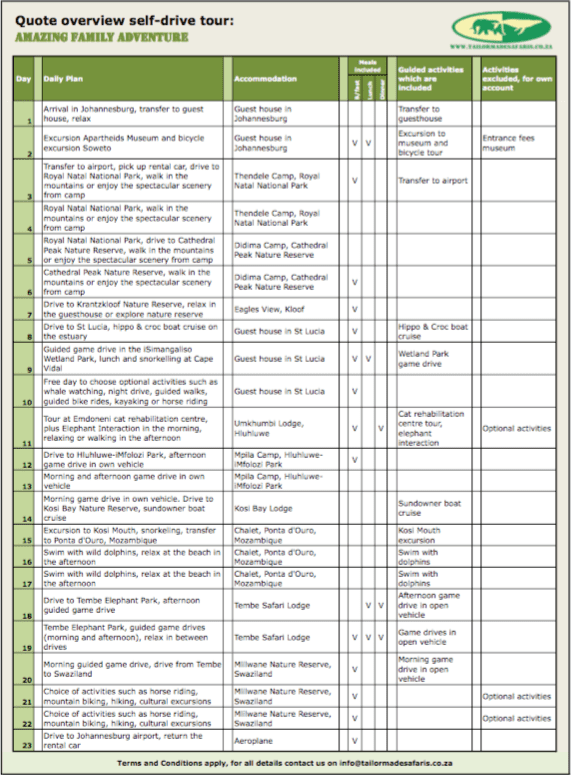 Today you can choose from the many activities that Swaziland has to offer. Guided horseback rides, guided hikes or mountain biking are just some of the activities that you can enjoy in Mlilwane. 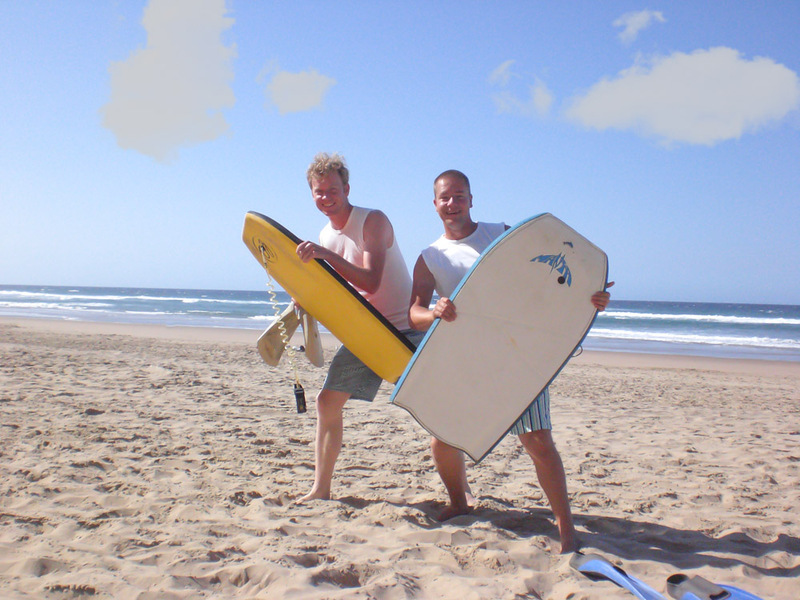 Due to the wide range of activities available and personal preference we do not book specific activities and do not therefore include them in the price of the tour. 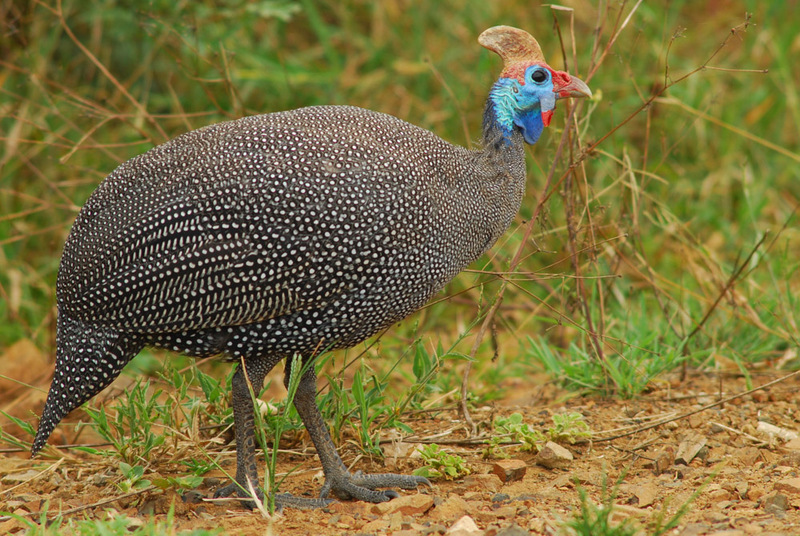 In Mlilwane Nature Reserve you can expect to see animals such as zebra, blue wildebeest, kudu and jackal. Again, today is yours to choose what activities you do. 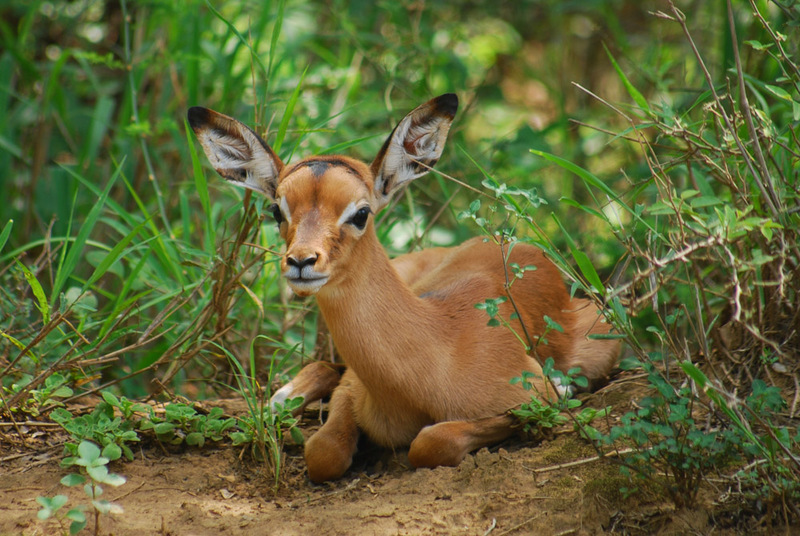 Maybe you would like to go on a game drive, discover Swazi culture on a village tour, go swimming or do another ride or hike. Again your book activities yourself at your cost. 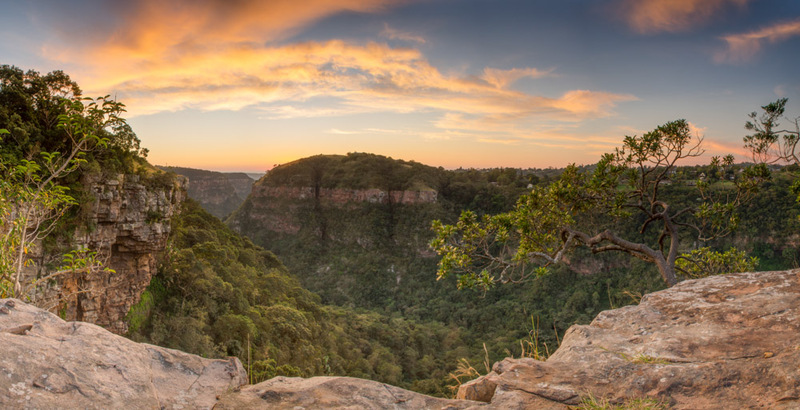 Tomorrow you leave Swaziland and head back to Johannesburg, so make the most of your last day in this beautiful valley. 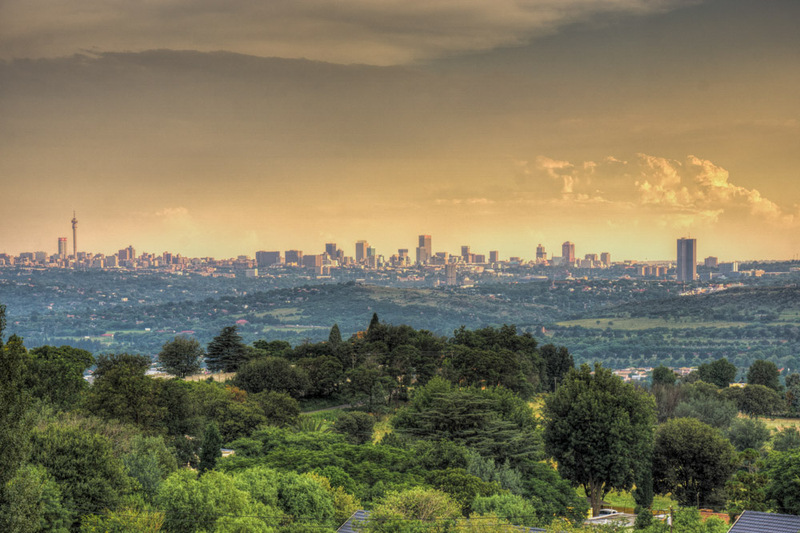 Today your journey ends in Johannesburg. 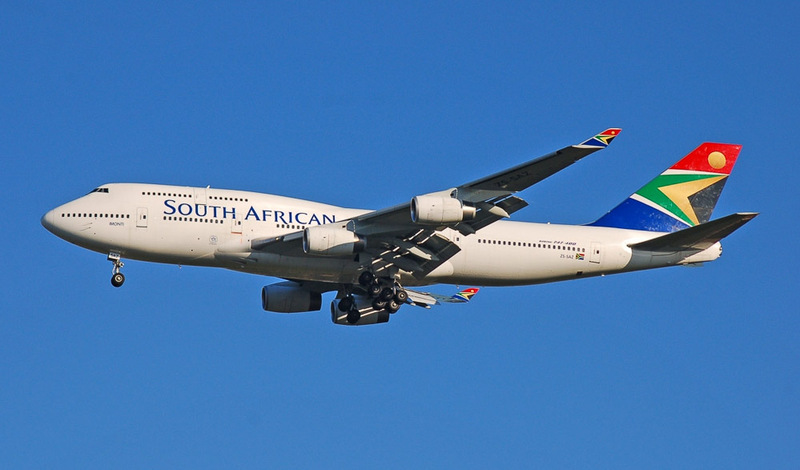 You travel back into South Africa and on to OR Tambo International Airport, where your journey began a few weeks ago.